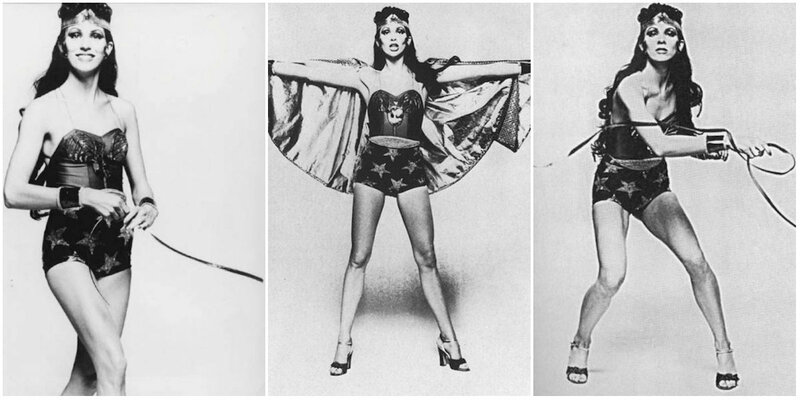 Back in the mid-70s when David and Angie Bowie were pretty much the hottest couple around, Angie auditioned for the lead role in the ABC TV series based on the DC comic book character, Wonder Woman. The part would go to former Miss USA Lynda Carter who would star in the much loved ABC Wonder Woman television series during its nearly four-year run after its debut in 1975. “First I showed them the photographs, which totally flabbergasted the director- things were going well so far- but then, before I went to my dressing room to don the stipulated turtleneck, some woman from the studio came up to me. And just like that, it was over. Angie Bowie divorced her husband in 1980 and continued to work in film and music. Ben Carruthers died in 1983. Daredevil eventually surfaced in the tv-movie Trial of the Incredible Hulk, before Ben Affleck donned the horns in 2003. Black Widow remained in live-action purgatory until Scarlett Johansson filled the bodysuit in Iron Man 2. Life went on, and the world was left a little poorer, forever denied a live-action Marvel TV series that looked as if it might have out-WTF’d beach bum Captain America.